Your skin is sensitive and susceptible to its environment, which is why it’s so important to develop a routine that works to protect, brighten and tighten. 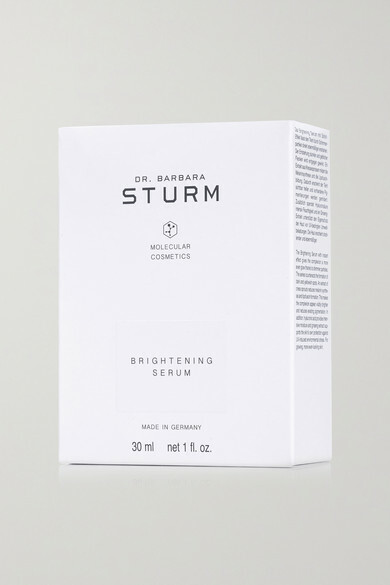 Dr. Barbara Sturm's serum is designed to be used as a concentrated treatment before your moisturizer. It's enriched with Cress Sprout Extract to fade existing pigmentation, Hyaluronic Acid for intense hydration and Ginseng Extract for protection against UV-induced stressors.